Limestone helps farmers improve the quality of their crops, and private homeowners maintain beautiful lawns and gardens. But limestone treatments can be used for a number of other uses too, such as improving your deer food plot. Whether you’re thinking about creating a food plot or you’re dissatisfied with your current plot, limestone is the answer. 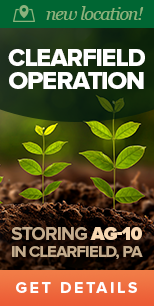 As you grow plants in your soil, the acidity steadily rises. Higher acidity in the soil creates negative effects on your plants. By treating your soil with lime, you help balance the pH levels and are able to grow higher-quality plants. Liming your plots will help your crops better absorb the necessary minerals, like calcium and magnesium. It can also remove some harmful toxins from the soil. Your soil’s composition depends on your geographic location. 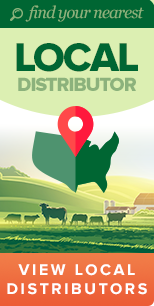 You may live in an area where the foods that deer love grow more naturally. If you don’t, you may have had to pick crops that deer like, but don’t love. Using limestone in your food plots can help you grow the foods that deer love, like alfalfa, ladino clover and oats. With a reliable source of food they love, deer are sure to begin routinely coming to your plot to feed. With healthier soil, you will have better crops. Using limestone on your food plots will let you grow larger and more robust plants. The deer can probably tell a difference. If they’re getting a tastier meal at your plot than at other spots, they’ll keep coming back. When the deer start eating better, they will become healthier animals, too. This will help the deer to grow healthier, bucks to grow larger antlers, and general increased health of the deer population in the area. Soil tests: Knowing the exact pH level will help you determine how much lime you should be applying to your plot. These tests can also give you other relevant data about your soil’s health. You can get a soil test at a hardware store or have a professional complete one for you. A pH level between 6.0 and 7.0 is the ideal range for deer food plots. Plan ahead: Lime takes time to activate and fully work. You don’t just apply it to the soil and then it’s fixed overnight. Lime can begin working in a couple weeks, but can take around four months to balance the pH level in your soil. Apply the lime at least four months before planting a new crop. Regular testing and application: Liming isn’t a one-and-done thing. You should regularly monitor the pH level of your soil and reapply lime when it becomes too acidic. Applications can be done every couple years or annually depending on your soil’s composition, and this is why regular monitoring of the soil health is important for a healthy plot. 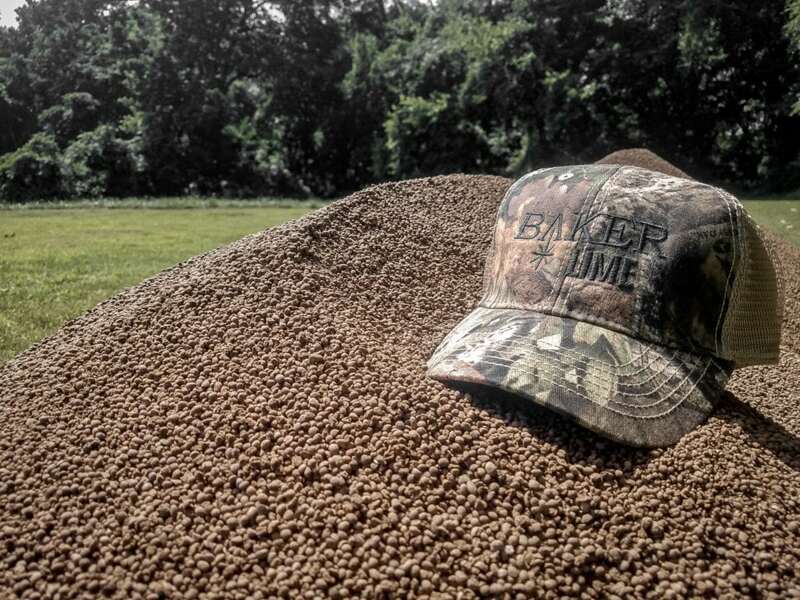 Baker Lime’s high-quality lime products are perfect for your deer food plot or any other jobs you have in mind. Improving your soil’s health will improve your crops and attract more deer. Contact us today for more information or to request a quote on our lime for food plots! Dustin Prievo with Top Pin Outdoors, recently published articles on Wide Open Spaces about the cost of and tips on creating a food plot. For his food plot, he knew that he would need pelletized lime to neutralize the pH of the soil and ensure the plants were getting enough nutrients. Pulverized lime requires the correct spreading equipment to effectively spread it which makes pelletized lime a great choice for hunters. 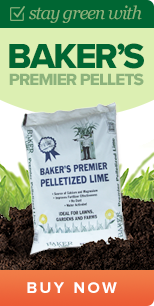 Our Premier Pelletized lime works great with your typical broadcast spreader you may use in your yard, as well as other spreader types that may be better suited for smaller equipment for easier access to food plots in smaller or wooded areas! Not only is our pelletized lime high-quality and perfect for food plots, it’s very affordable compared to other options. Per ton, as Dustin researched, with our lime the savings per ton are $220 on average. By working with us Dustin saved hundreds of dollars on lime for his food plots. Read more about how we helped create another successful food plot on Wide Open Spaces – Secrets to Saving Money on Lime for Flood Plots and Does the Groundhog MAX ATV/UTV Disc Plow Really Work?